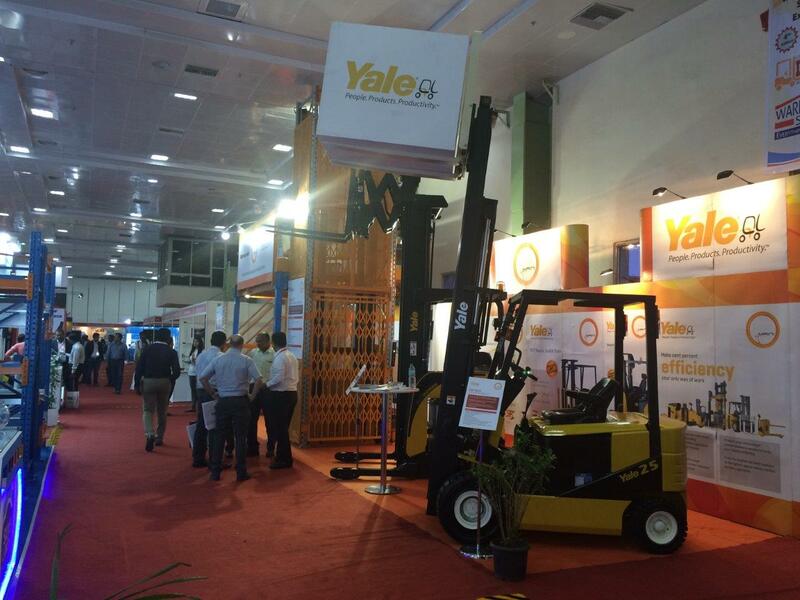 Yale & Maini participated & exhibited its material handling & warehousing solutions at the 4th edition of LOGMAT, South India’s largest event on logistics, warehousing and material handling. The show offers a great platform for companies from the material handling & warehousing industry to showcase their products and capabilities to the user industry segment. Yale Double Deep Reach truck, suitable for narrow aisle warehouses and cold rooms (with subzero application) & 2.5 Ton electric forklift were on display at the Yale Maini pavilion. 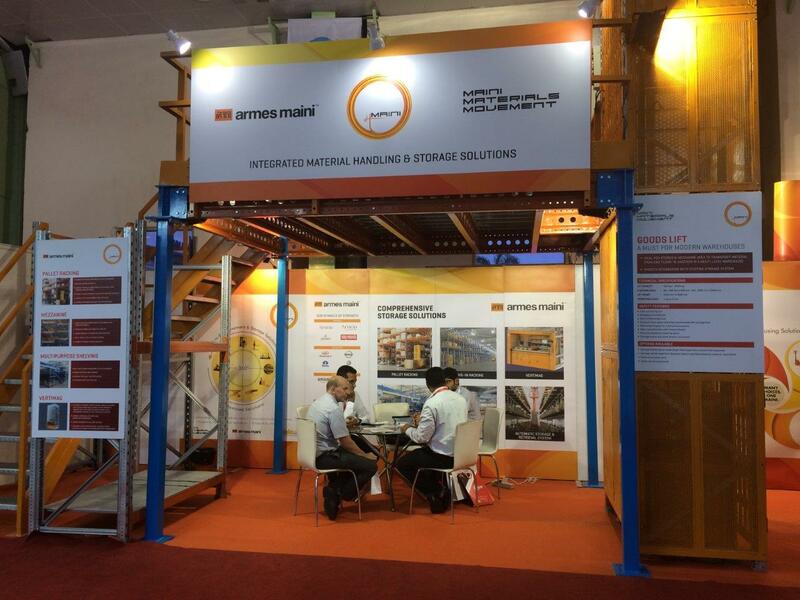 Armes Maini storage & racking solutions (pallet racking, mezzanine, shelving) were showcased too to the visitors. Maini Materials Movement also introduced Goods Lift in this show. It is an ideal solution to transport material from one floor to another in a multi-level warehouse. With its smooth integration option with existing storage system and best of safety features, it was an instant attraction for the visitors at the show. Maini Group enters its fourth decade of delivering solutions in 2013. From its modest beginning of manufacturing of precision components and assemblies for the automotive, hydraulic, material handling and engineering industry, the group has grown to become a five company entity today. The group is widely known for its innovative and revolutionary electric car ‘REVA’ and eco- friendly material handling solutions. 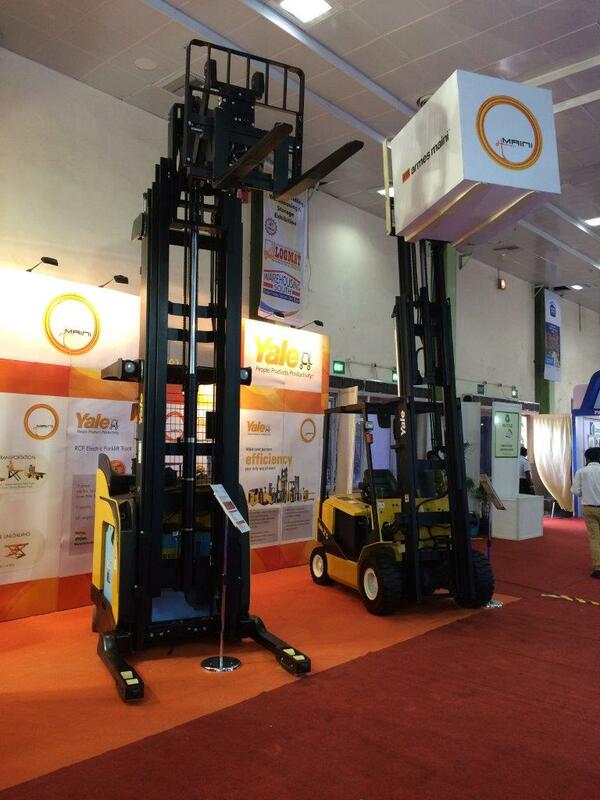 Maini has a strategic tie-up with Hyster-Yale Group for its ‘Yale’ range of forklifts and warehousing equipment. Nice article about material handling equipment. I come across various techniques associated with material handling equipment through this blog. Crane manufacturers always works according to modern techniques and offers best material handling equipment. Many Aluminium Scaffolding on service are purchase and rental in every commercial area. Last time we will see some of the different section more used for used scissor lift & Boom lift rental.